Once upon a time, a runner named Kelly Roberts took some stealth selfies with attractive men in the background during a half marathon to make her sister laugh. The story went viral after posting them on Instagram with the hashtag #hotguysofthenychalf. Then she started a blog that many runners might know—Run, Selfie, Repeat. 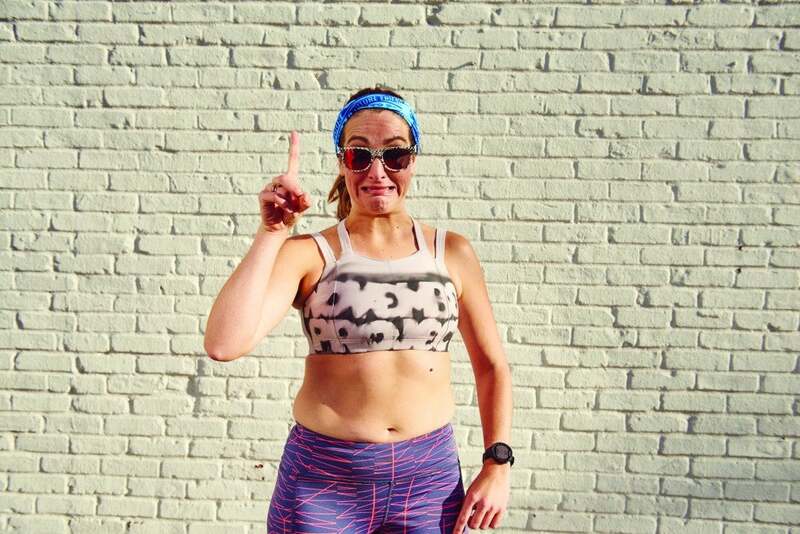 Then she took off her shirt and created #sportsbrasquad, a movement motivating other women to feel comfortable baring their bellies on the run. Then she came damn close to qualifying for the Boston Marathon during #BQorBust, when she shared honest videos explaining the good, bad and very ugly of marathon training. But it’s not Kelly’s addictive energy, impressive speed or boldness in shedding clothes on the run that she’s most praised for—it’s the message behind her madness. Roberts also motivated other runner women to pursue their strongest, healthiest selves by very publicly pursuing a Boston qualifying (BQ) time at last year’s Chicago Marathon, where she missed by just 5 minutes in her first attempt. 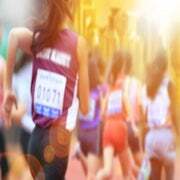 She tried once more at this year’s London Marathon, falling short but finishing the race. Combining her knack for humor and directness, she showed every person how rewarding and devastating it can be to chase a sky-high goal. Roberts hasn’t always been so sure of herself as an athlete. The Oiselle-sponsored runner admits there was a time that she felt “I was at a party I wasn’t invited to because of my shape, or because I wasn’t a serious runner,” after receiving comments and emails from followers regarding her “stupid” selfies. However, it’s thanks to this very humor, authenticity and, yes, shape that her voice touches so many fans. For Roberts, enjoying the workouts is key—even if it takes a few tries before you’re loving it. 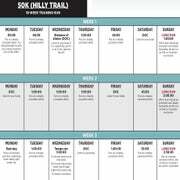 “Your training plan should push you outside of your comfort zone, but it shouldn’t be boring.” If this is your first rodeo, or you’re getting your legs back underneath you after time off, the “beginner” plan is for you, says Maio. If you’ve been running consistently and want to push yourself—maybe go for a PR—the “strongest” plan is for you. And don’t worry—the Kelly-isms along the way will make you feel confident, able and maybe even a little pumped to tackle a new workout. Check @WomensRunningMagazine and @KellyKRoberts on Instagram this summer as we all train together for #badassladygang5K, culminating in a virtual 5K for everyone! Share your run photos with that hashtag to be featured on our homepage!